So a couple months back, I wrote a review on my experience at the Devachan Salon. I’m not going to lie, I kinda want to go back just to wear those luxurious silk cutting capes again. Aside from the cutting capes, I also really loved my overall experience at the Devachan Salon. During my visit, I learned that the DevaCurl products are just as important as the haircut itself. They are hair products that are specifically made for curly hair, which help keep your hair healthy and your curls looking their best at all times. Although it may not seem like it, sixty-five percent of women have naturally curly hair. I know your thinking “What!? No! But I never see that many people walk around with curly hair!” I guess most people straighten their hair on a daily basis. I know I did for more than 10 years! Hopefully this post will help other curly girls manage their gorgeous ringlets so they will be confident enough to stop straightening and start flaunting their gorgeous natural hair! Sorry in advance for the potentially boring details. 1. 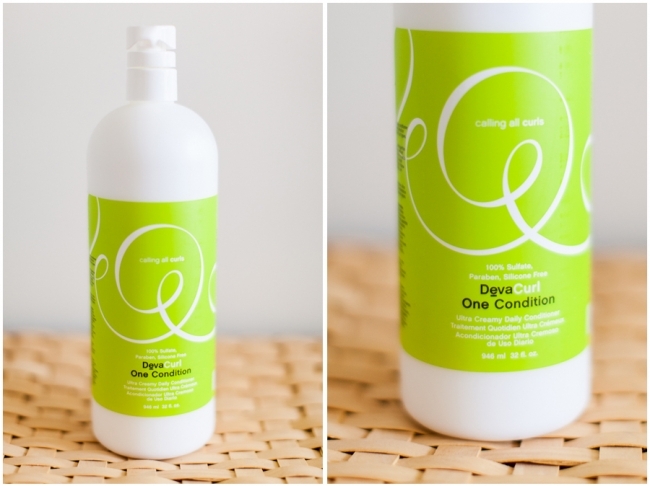 “Shampoo” with DevaCurl No-Poo. The whole philosophy is that you aren’t shampooing your hair, but rather, you are cleansing your scalp. 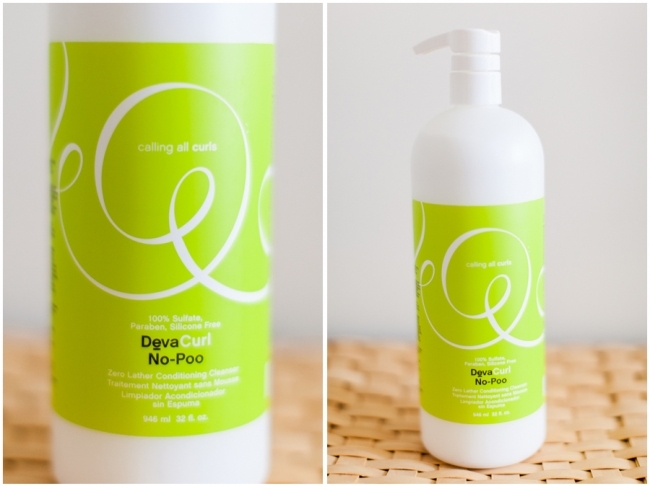 I put the No-Poo on the tips of my fingers and massage the No-Poo into my scalp. I rigorously massage my scalp and then when I rinse it out, I let the no-poo run through my hair to give it a light cleanse as well. As you rinse out the No-Poo, you are supposed to cup your hair with your hands at the base of your scalp (l’m guessing this is to prevent your curls from getting “stretched out” by the weight of the water). 2. Condition with DevaCurl One Condition. Now conditioning is actually not required and I’ve gone without conditioning and my hair still looks pretty good! However as the Devachan “way” dictates NO combing– ONLY finger combing, I have found that the conditioner is useful to detangle my hair. I apply the conditioner to only the bottom 6 inches of my hair and then run my fingers through the length of my hair to detangle it. I then rinse it out after letting it sit in my hair for 2-3 minutes. I give it a quick and thorough rinse. The book suggests that for certain types of curls you don’t even need to rinse at all (or rinse just barely) and you can use it as a “leave-in” conditioner. I’ve tried many different ways and my hair looks best when I rinse out a majority of the conditioner. I then flip my head upside down and do a very gentle finger comb through my hair. 3. 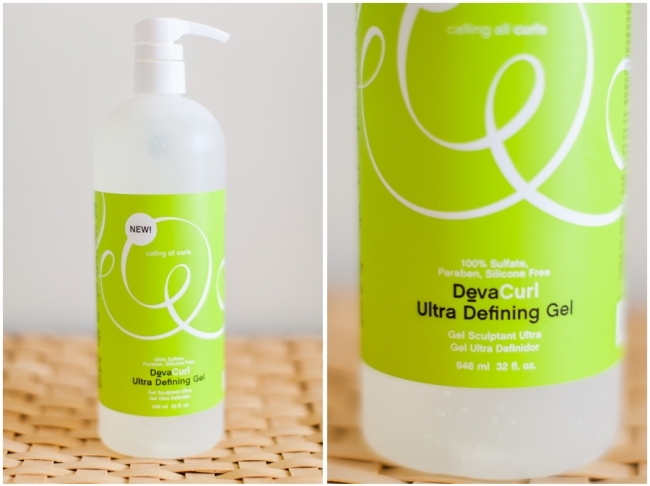 Style with DevaCurl Ultra Defining Gel. While my hair is still flipped upside down and sopping wet, I cup my hair in my hands and scrunch in an upwards motion toward my scalp to remove some of the water. Then, while it is still fairly wet, I put two to three pumps of gel (evenly-distributed) in my hands, and glide the gel over the front and back side of my hair. I then continue to scrunch in an upward motion- sometimes even applying more gel by scrunching it up into my hair. If you think you’ve gelled and scrunched too much, you should probably gel and scrunch a little more and THEN stop. 4. Dry Using a microfiber towel, paper towel or just a plain old t-shirt, scrunch your hair to get the excess moisture out. I pretty much keep scrunching until it is to the point where it won’t get my clothes wet when I get dressed. I then flip my head back up, position and arrange my curls so that they fall nicely and then scrunch just a tad bit more. I then run a bit of gel over the top layer of hair to prevent the dreaded “frizz halo.” And that’s it. Although it sounds like tons of work, it actually goes pretty fast once you get into a routine. 5. Curl Refresh Unfortunately, unlike a blowout, curly hair really only looks good for one day and then its time to rewash and restyle. However, I’ve found that I can revive my curls, by getting my hands wet and then scrunching my hair. I then add gel to my hands and then scrunch some more. I trade off between water and gel until my curls are damp and then I let my hair re-dry. This method has proven to be effective in giving my hair the “just washed look” and I can achieve it without access to a shower. I may start carrying around a travel sized bottle of gel in my purse for those times that I’ve had a long day and need to refresh my curls. I would also like to note that last month I straighten my hair for the very first time since going curly and my hair felt more silky and soft then it ever has before! My hair has become so much healthier since going curly! Love it! Hope this post was helpful and remember, when in doubt, SCRUNCH! Hey, Thanks so much for this step-by-step! I tried it today and my curls have never looked nicer. I think what really made the difference for me was Step 4: Dry. Also loved this line — “If you think you’ve gelled and scrunched too much, you should probably gel and scrunch a little more and THEN stop.” I was worried about putting too much gel and I ended up putting too little on the sides, but I can fix that for the next time.